In 1998 we bought property in Oregon after 52 years in South Florida – the polar opposite in culture and environment. From malls and crowded beaches we met rivers and coasts where fleece replaced bikinis. We met the architect who’d design our new home high above a river canyon, Rick Wright. Little did we know the gift he’d give us in the form of white-water kayak training and fun. Eventually we became “family” with the entire Wright clan in spite of the fact we ditched white water kayaking for standup paddling. What’s Candice got to do with this? 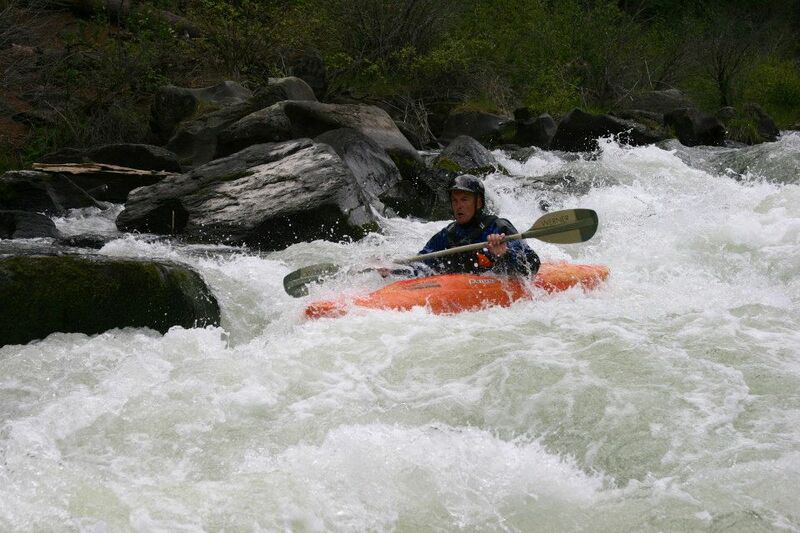 Well, Rick Wright is a highly skilled, first class white water kayaker. He’s happiest maneuvering down gnarly stretches of river. 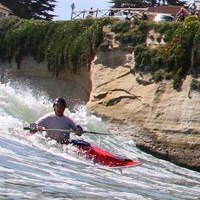 Yet, in March, he went to the 27th annual Santa Cruz Paddle Fest where he entered and rode amazing waves in his surf kayak. “Totally stoked” best describes Rick’s take-away from the event and his two sessions at Cowells. Since Candice rocked it and won at Steamer Lane – what’s the connection? Rick had the chance to watch the SUP events at Steamer Lane and he had the chance to observe first hand the pure determination and athleticism that drove Candice to her win. As an avid and dedicated student of Tai Kwon Do and a local Class 4-5 mainstay in Bend Oregon, Rick knows excellence and practiced honing of natural skills when he sees it. When a quarterback throws that impossible pass, when a golfer drops the challenging chip 2 inches from the cup – we’ve all seen athletic greatness in action. For standup paddling, the televised spots are few and far between. That’s likely why the live-action Candice was so impressive. While Candice wasn’t the only amazing waterwoman (or waterman) in the event, her prowess and performance struck our friend Rick. Tonight, over margaritas and bridge (yes, we old geezers play bridge for fun) the conversation turned to our next trip together. Without question we are determined to all be at the Santa Cruz Paddle Fest in 2014. Rick is a solid 14 pounds lighter than he was in early February. He’s training hard and eating well. What will be keeping his fitness-stoke alive from now until the next time we all surf some practice waves at the Oregon coast for freezing-pounding surf? It’s a memory of a competition and an image of training. The picture to the left is one that Rick saw on Facebook. To him, it is a perfect example of strength and gracefulness, power and motivation. Because a leader in the world of SUP has honed her expertise so well – and captures images of the process – a 6th decade white water kayaker/kayak surfer is inspired to reach his own limits and potential. Pinterest, Facebook, Twitter and all the social media opps might seem stale and over-used at times. But because we have the chance to connect with excellence through that same media we can be motivated and inspired. We celebrate the power of social media and the story our sport is creating one champion, one Candice, one Rick, at a time. What’s your story? Share with us on Facebook or Pinterest!